Recently in New Jersey (NJ), many residents that were affected by Hurricane Sandy have decided to elevate their home in fear there should be another natural disaster of the same size in the future. Home elevation would provide better protection and defense against the flooding and winds that rocked the state when the hurricane hit. Home elevation is a complicated process that includes finding the right house elevation specialists and builders to help keep the integrity of your home in-tact, but still complete the job with quality and speed. 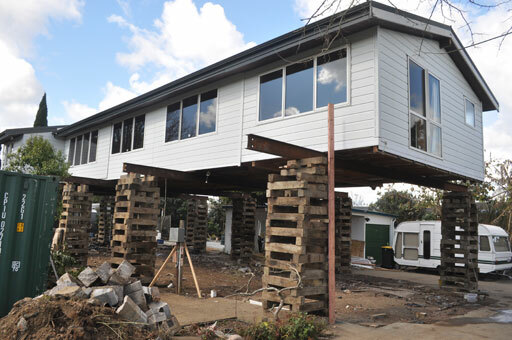 Homeowners obviously want the most capable company out there to perform the job of lifting their house off the ground. If you have any questions about elevating your NJ home, contact your local affordable NJ home elevation company in order to find out more information about the process. Damage from Hurricane Sandy isn’t the only reason elevate your home. You may also choose to elevate your home for aesthetic reasons or for functionality. An elevated home provides a certain charm, comfort and freedom that a non-elevated home may not. Okay so this one is the obvious option – an elevated home is better protected from natural disasters that would cause flooding in particular. If the main area of your home is elevated, flood waters don’t reach your main living quarters and therefore the damage that may be done to your home is a lot less drastic. An elevated home is also better protect from the wind, mud and sand damage that can come with being a victim of a storm or other natural disaster. Consider elevating your home even if you don’t live by the water, as you may be better protected from winds and dust. 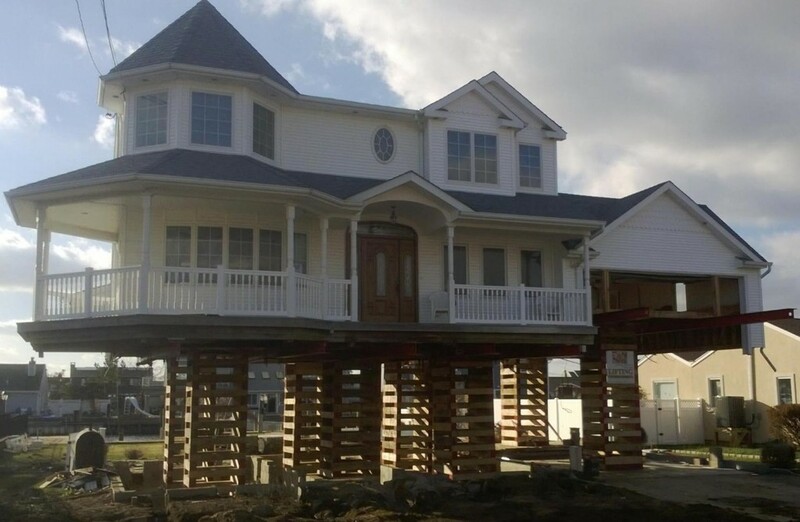 An elevated home is generally associated with houses at the beach, or on a lake as these are often the homes that are most susceptible to flooding. Because of this, they tend to have a more relaxed or vacation feel to them and who wouldn’t want to feel like they were coming home to a beach house every night? In addition to feeling like you’re living at the beach, an elevated home will do the obvious – it will make your home higher and therefore look much larger. in addition to looking bigger, it will give you the option to expand downward should you choose to do so in the future, improving functionality. Elevating your home increases the amount of space you have for cars and activities in your yard. Many homeowners choose to expand their driveway to the length of their home after elevation, giving them more room for activities under the house. For families with kids, more storage and play space in the driveway and the surrounding yard is desirable and can be accomplished with an elevated home. Imagine the possibility of hosting dinners, parties and more family and neighborhood activities as you will then have more space to do so. Part of the concern for home elevation is complications of doing so. Will you have to remove all of your belongings? How long does the process take? Speaking to your local NJ home elevation expert will help you in these decisions in the long run and help you decide whether or not home elevation is best for you. Penn Jersey Development Company is a team of leaders and innovators that focuses on detail, value and sophistication for a seamless beginning-to-end home building experience. For more information on how we can become your RREM contractor, contact us.